Dr. Sammy Lerma III, M.D. P.A. Our team of medical professionals have served Texas families for more than 20 years. We are dedicated to offering same-day appointments with our highly experienced providers in an effort to minimize wait time. Our focus on personalized relationship driven service for the entire family motivates us to share in an exceptional patient experience every single visit. Please take our patient survey and let us know if we are meeting this goal. What should you look for in a primary care provider? Along with feeling a sense of safety, rapport, and trust, Madden recommends finding a practitioner who conveys a sense of thoroughness and a depth of knowledge. He also recommends finding a provider who values your input and opinion. “You want to feel like you’re involved in the process of decision-making.” For example, if your doctor recommends tests she might then ask, ‘How do you feel about that? Is this what you’re looking for? Does it seem reasonable? Is it affordable?’ Meg Scott agrees. “It’s not a one-directional relationship, it’s bi-directional,” she says. “The goal of each visit should be to have a level playing field, where you can voice your concerns openly and you walk out the door feeling like you were really listened to and you’ve got a plan that’s going to work for you.”"
"The Case for Having a Primary Care Physician" One: Life. Health News, 13 March 2011. Web. My latest visit was one of the best doctor visits I have ever had. I had several issues to deal with, and they were all handled thoroughly and thoughtfully. I highly recommend Dr. Lerma's clinic! 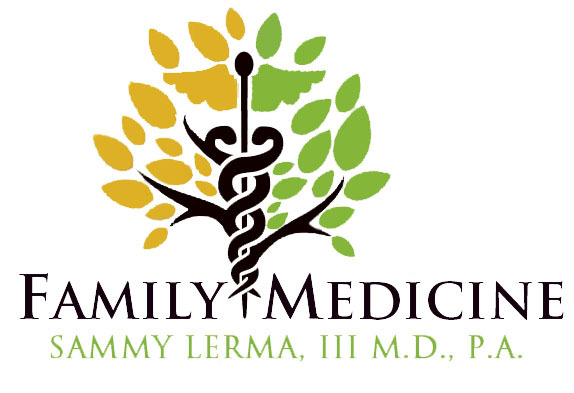 I have been a patient of Dr. Lerma for about 6 years. I drive 2 hours for my visits because he has been my Doctor for so long and I fell very comfortable with him. He takes his time and asks me questions to where I fell that he cares about my health. The staff are always so helpful when I have trouble with my insurance or need to change my appointment. In being a long term patient,I have always been satisfied with all staff here. I've been going to Dr. Lerma for over 10 years. He has a heart of gold and is the best doctor I've ever been to. Office staff is always very attentive and helpful. Appointments are scheduled quickly and within a day or two. Immediately if necessary.